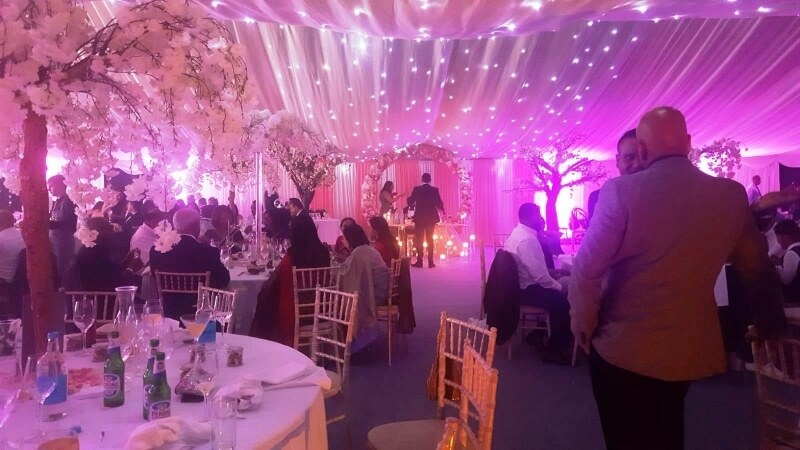 ﻿﻿﻿﻿﻿﻿We can also supply a wide variety of Marquee Equipment and additional services to realise your vision. Please contact us to discover what we can do for you. 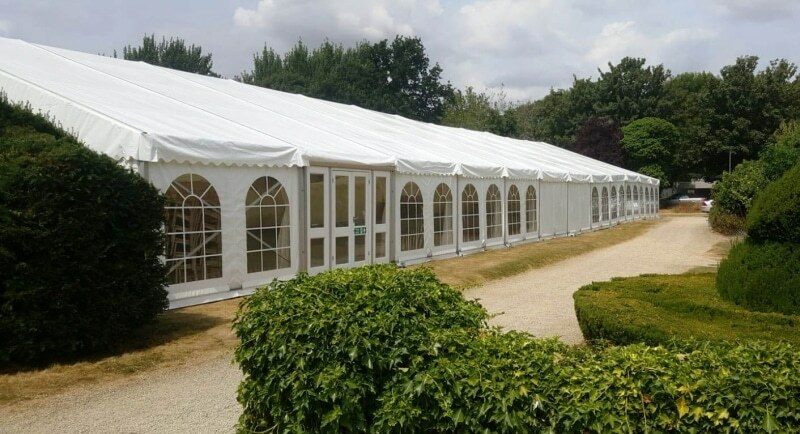 We stock large quantities of Ivory pleated wall and roof Linings to help transform your marquee. To add something special we can supply black out starlight linings. We can also supply different colour linings to make your event something personal. We have designed and made our new vintage lighting boards, which is becoming a new growing trend. 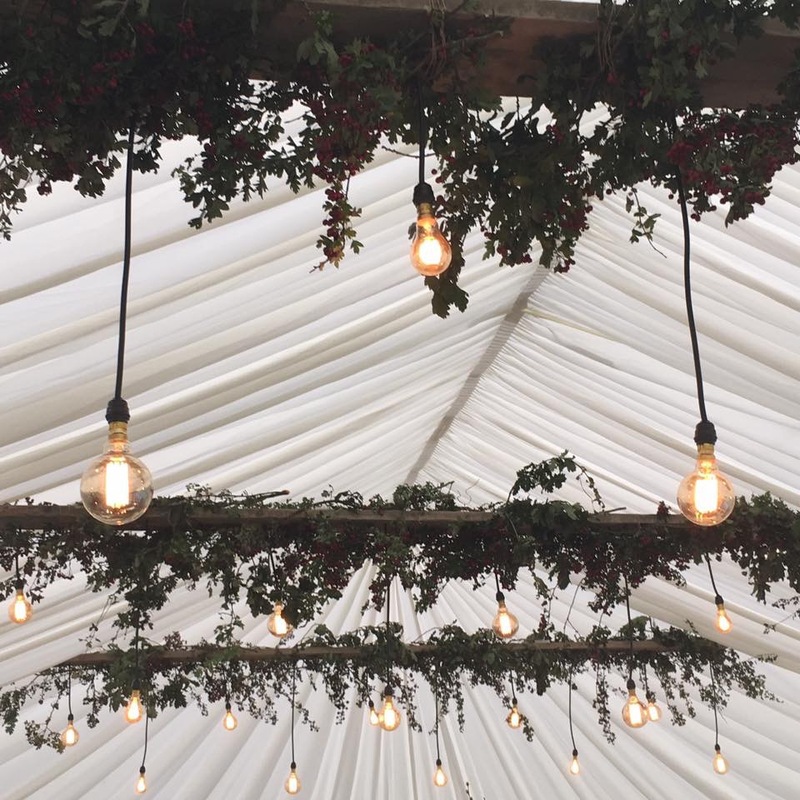 We have a large supply of fairy lights which can be strung to your liking in our Marquees or Stretch Tents to give it a nice warm glow. Up lighters provide a stunning backdrop for your event. Coloured Up lighters can be fitted as required to light selected features and can be changed to suit your colour theme. 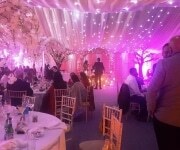 For a marquee lighting option that is a bit more sophisticated why not have chandeliers added to your marquee. 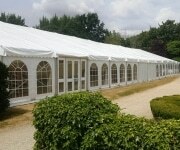 Particularly popular with wedding marquees, which will give a classic finishing touch. We have a selection of different colour and sizes to really stand out. Coconut matting provides a cost effective flooring solution or for special occasions to really put your stamp on your event we can supply hard flooring with carpet of your choice of colour. 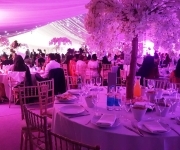 A full range of different coloured chairs and tables to suit every event and budget. 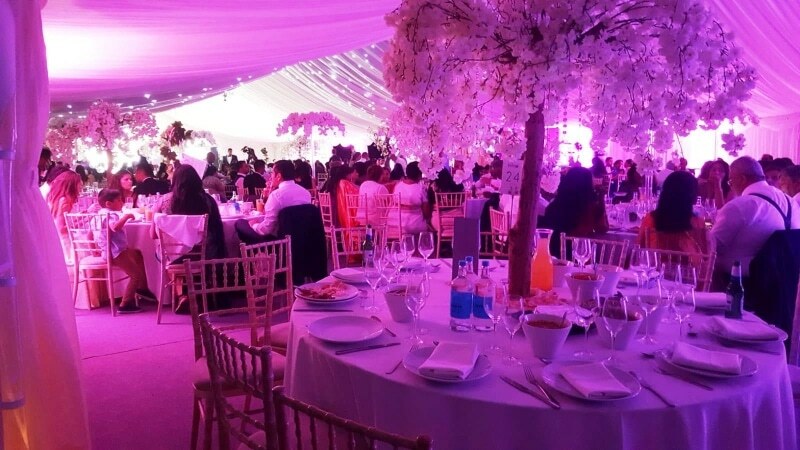 We will also ensure that the tables and chairs are set up to your requirements. Round tables are available in a range of sizes or an option of trestle tables for a different seating option. We can supply a range of generators to suit your electrical requirements. 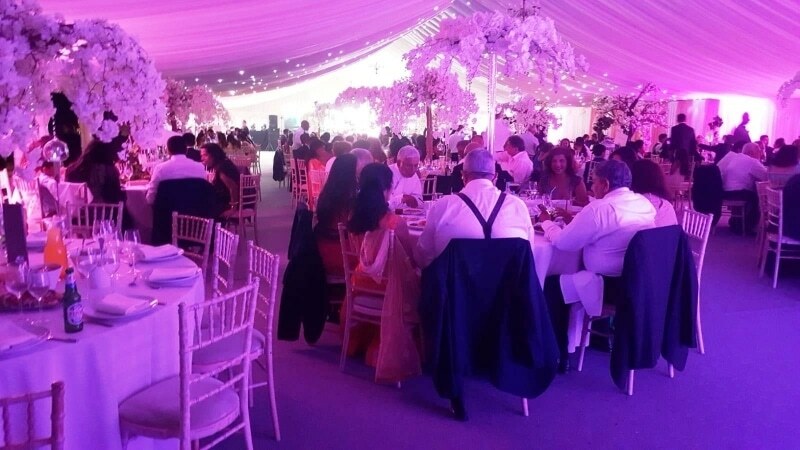 The generator size will be dependant on the Marquee Equipment used, catering, band, lighting and any other facilities you require. We can help you plan and choose the correct option for your event. We can provide a premium toilet service. 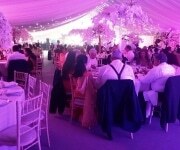 J&L Marquees are able to provide you with a complete range varying from standard through to luxury built-in facilities. Contact us and talk to Joel for accessory information for your event. We will talk through all topics needed and ensure you have the correct Marquee equipment.